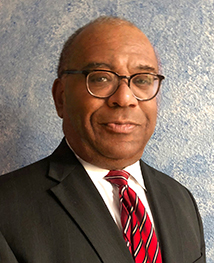 Kenneth H. Gwyn, A.A.E., has had successful career in leading large public organizations, managing complex programs and sharing his unique knowledge and experience in the classroom and through his writings. Kenneth ended a thirty-year career with the City of Dallas when he retired in September 2014. During his tenure with the City of Dallas, Kenneth quickly rose through the ranks to lead several major departments and hold several executive level positions. The majority of that time was spent leading the Department of Aviation. As Director, Kenneth had responsibility for the overall management and operation of Dallas Love Field Airport, Dallas Executive Airport and the Dallas Vertiport/Heliport. Kenneth is an Accredited Airport Executive (A.A.E). As a seasoned airport executive, Kenneth has shared his experiences and knowledge through his writing and in training workshops. He has been a contributing editor writing on the subjects of airport management, leadership, strategic planning and customer service to several major association publications. Kenneth currently serves on the adjunct faculty for Dallas County Community College District. He has taught courses in political science since August 1983. He received a Master's degree in Public Administration and a Bachelor of Arts degree in political science from The American University in Washington, D.C.